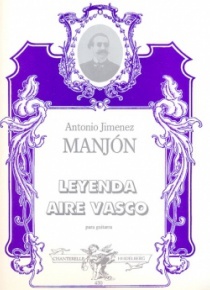 Antonio Jimenez Manjón was born in Villacarrillo, Spain, in 1866. He lost his sight at an early age. 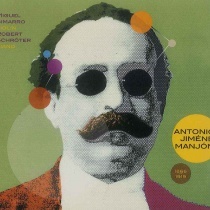 He became a virtuoso guitarist and gave concerts throughout Europe (including London). In 1893 he settled in Buenos Aires, where he taught, composed, and played in many concerts until his death there in 1919. 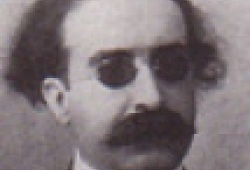 Like Barrios, Tárrega, and many others, he was a noted performer on the guitar as well as a composer. His music is strongly in a Hispanic tradition. 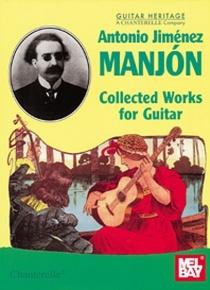 He himself played the eleven-string guitar, but his published pieces are generally for the six-string guitar.